Insights From Casual Connect Europe: Is It the End of the Gold Rush? 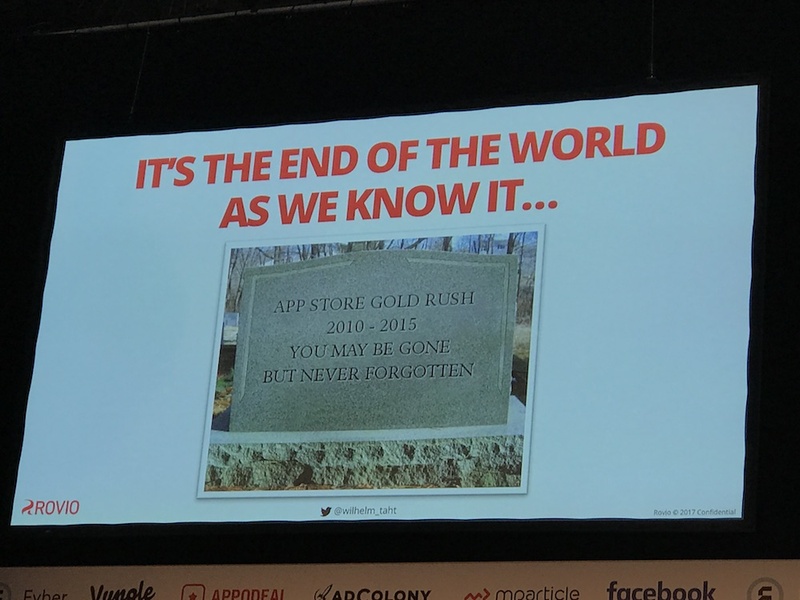 Insights From Casual Connect Europe: Is It the End of the Mobile Games Gold Rush? Despite the continued growth, Taht believes the free-to-play mobile market can’t handle it anymore, hence the “end of the gold rush” proclamation. According to data presented by Taht, over 760,000 mobile games occupy the virtual store shelves of the Apple App Store, with more than 700 new games added per day. 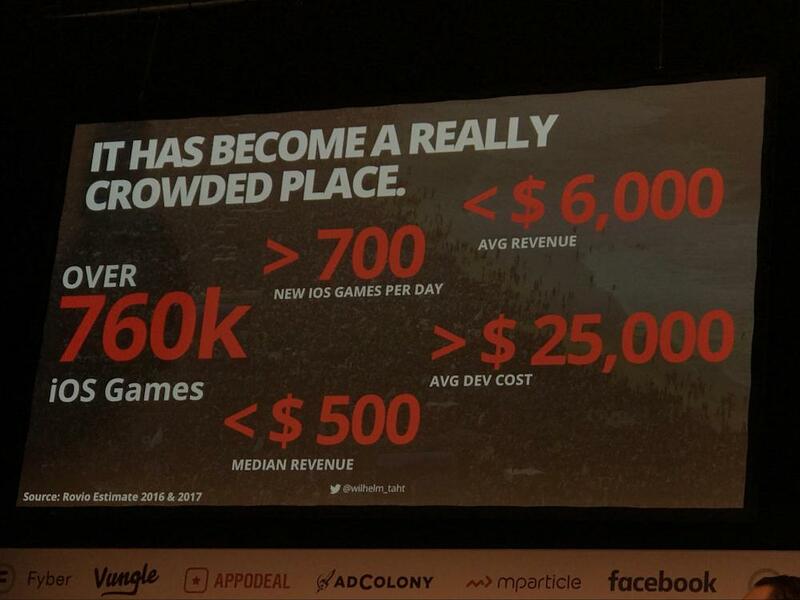 And mobile games these days don’t come cheap, costing upwards of $25,000 on average to develop, yet generate an average of $6,000 in revenue, according to Rovio’s data. “I predict that this is the first year that we see a downturn in the number of games published per day on iOS,” Taht says. Taht added it’s natural for a market to mature after years of torrential growth. Recent mobile game company exits perfectly encapsulate the maturity of the market. Activision Blizzard’s acquisition of King for $5.9 billion signaled the move toward market maturity. In 2016, Tencent, China’s leading mobile gaming company, purchased a majority stake in Supercell for $8.6 billion, further pushing the maturity narrative. “These were perhaps the biggest exits that we’ll see for mobile for quite sometime, possibly ever,” Sheppard says. The mobile games gold rush, however, is far from over. Rather, mobile gaming is entering gold rush 2.0. Three key trends were repeated over and over in many sessions either directly or indirectly at Casual Connect Europe. Here, you’ll find out why the rise of international markets, the growing acceptance of rewarded video ad monetization, and the massive growth of mobile video will be mobile gaming’s next goldfields. For the cost to develop mobile games, it’s only up and to the right from here. In Sheppard’s keynote presentation, he highlighted the need for mobile game developers to think internationally when it comes to building their business and hiring talent to reduce cost and improve efficiency. While San Francisco has been a hotbed for mobile game development talent, the cost of living in the region is putting enormous pressure on many engineers and artists. To paint a picture of cost differences, Sheppard highlighted the cost of living between San Francisco and other major cities across the globe. In particular, the cost of living in Berlin is 60 percent less than San Francisco’s, Warsaw 40 percent less, Shanghai 60 percent less, and Dublin 80 percent less. Essentially, mobile game developers can hire 2 1/2 engineers in Poland for one engineer in San Francisco. Casual Connect Europe this year has proven that IAP and ad monetization are no longer mutually exclusive. Game Hive co-founder Mark Wang in a session on ad revenue said, if you design your mobile game well, both ads and IAP can coexist. Rewarded video, in particular, was the talk of the town at Casual Connect. “At Rovio, [rewarded video] is quite a big deal,” said Reginaldo Valadares, Rovio’s head of studio, at a panel on in-app purchase design. “Might sound counterintuitive, but [rewarded video] has improved retention,” Valadares says, contrary to common belief that mobile ads hurt retention. Both developers and players alike are embracing rewarded video ads. “People actually embrace [rewarded video] as soon as it’s not invasive,” says Alexandre Besenval, head of product at Barcelona-based Social Point, which was recently acquired by Take Two Interactive. Where exactly should mobile game developers be spending their user acquisition dollars in 2017? AdColony anchored a session about results from their latest survey on app install marketing trends, revealing what goes into the strategic thought process behind leading mobile marketers. Hands down, user acquisition managers were getting the most scale from video ad formats, including full-screen video, social video, and in-feed video. Among respondents, 96 percent said they think video is the most effective ad format for mobile UA. In addition, respondents said over 60 percent of their ad budget goes to mobile video. Likewise, research firm eMarketer doesn’t expect mobile video to show any signs of slowing down. 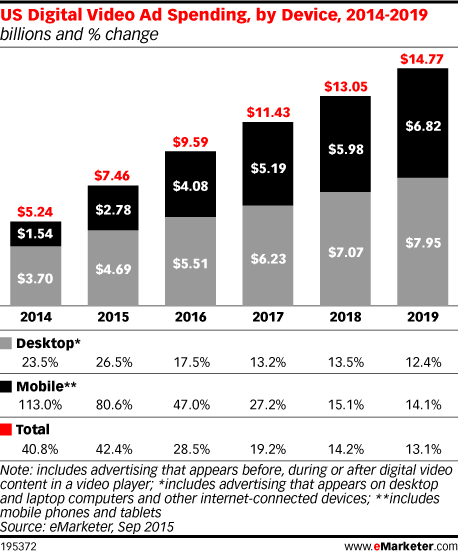 In fact, eMarketer estimated that ad spend for mobile video will reach over $6.8 billion by 2019.